In an age of texts, Slacks, and WhatsApps, a handwritten note on nice paper has a special permanence. 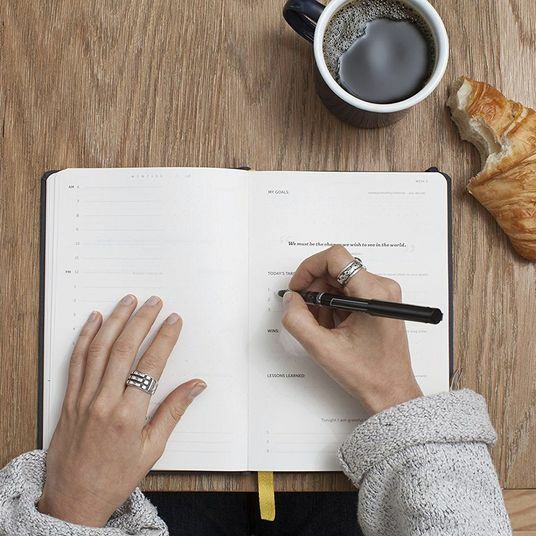 For situations that require sitting down and writing a letter or a thank-you, decent-looking stationery can go a long way. 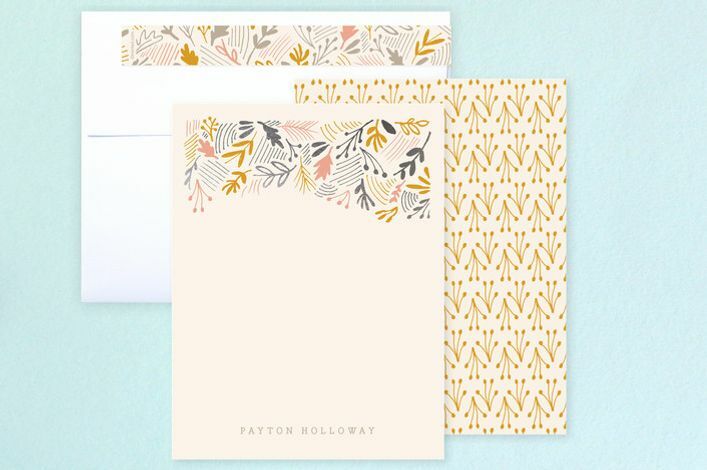 And if you’re going to invest in stationery, you might as well personalize it with your name, monogram, or even a custom, illustrated portrait. 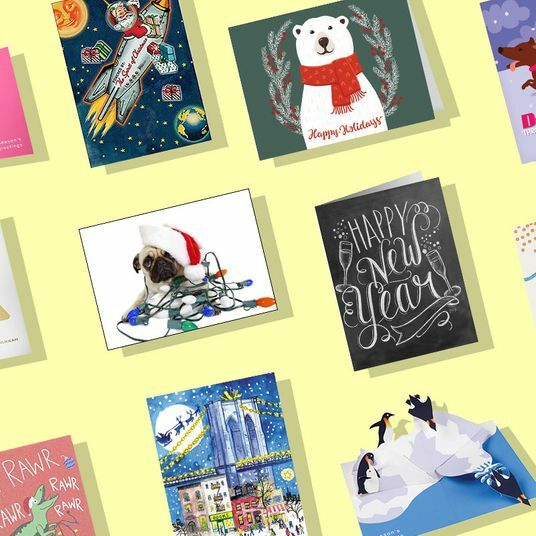 To find the best stationery for expressing yourself, we asked six designers, authors, and paper connoisseurs for their favorites. 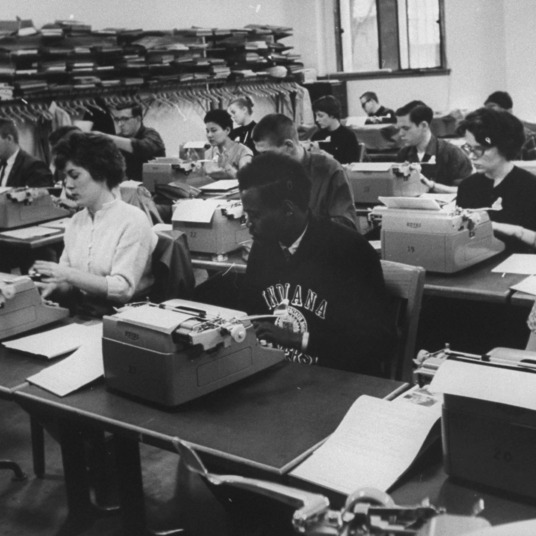 Their picks below range from the formal and traditional to the unusual and modern. 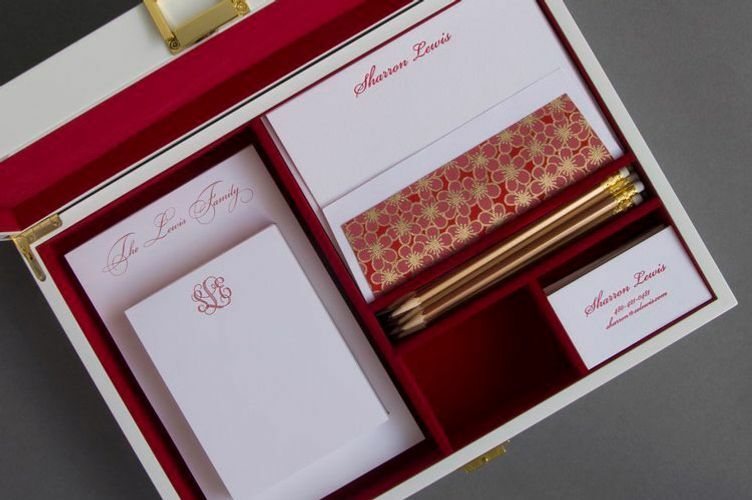 Like Gilling, Margaret Shepherd, calligrapher and author of The Art of the Handwritten Note, agrees that “you never can go wrong picking out something from Crane,” but that doesn’t mean the stationery has to feel stiff. Schwartz notes that Crane is under new ownership as of last year and says, “They’re sort of reinvigorating their brand. 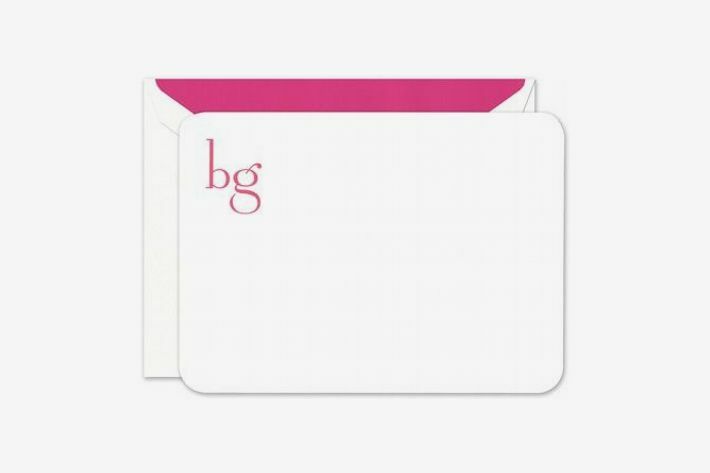 They’re keeping it just as classic but they’re giving it a bit more of a modern edge.” With a hot pink envelope liner and lowercase monogram, this card set puts a new twist on a traditional look. 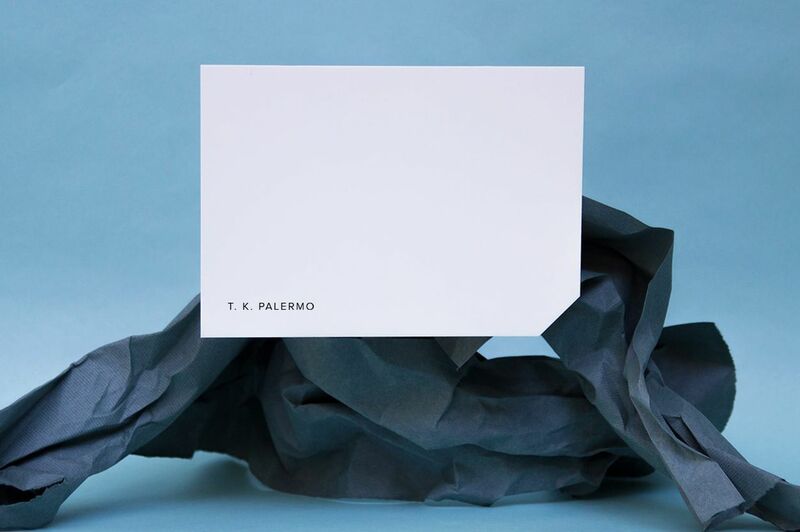 While Elisa Maezono, design director at Franklyn studio says that “personalized stationery specifically feels old-fashioned in a way that note cards and beautiful paper products in general do not,” she does like designer Alissa Bell’s “fresher take” on the classics. 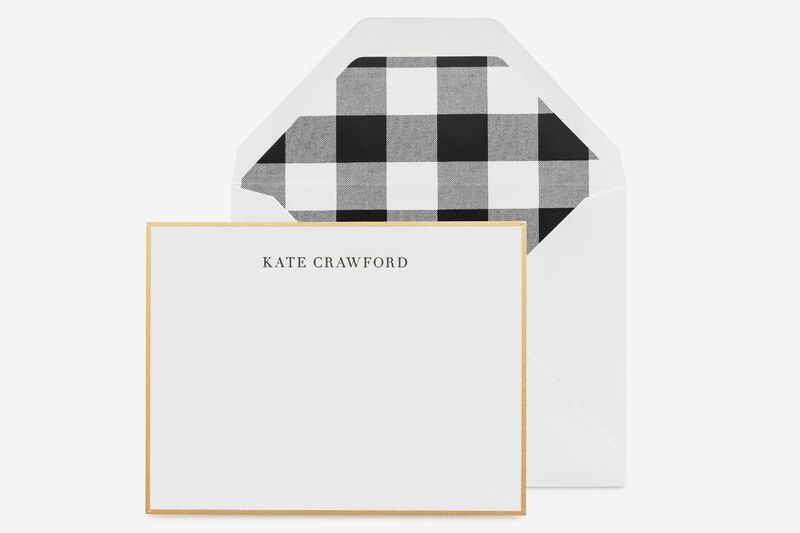 With a notched corner and text-color options like mauve and cool gray, these note cards feel clean and modern. 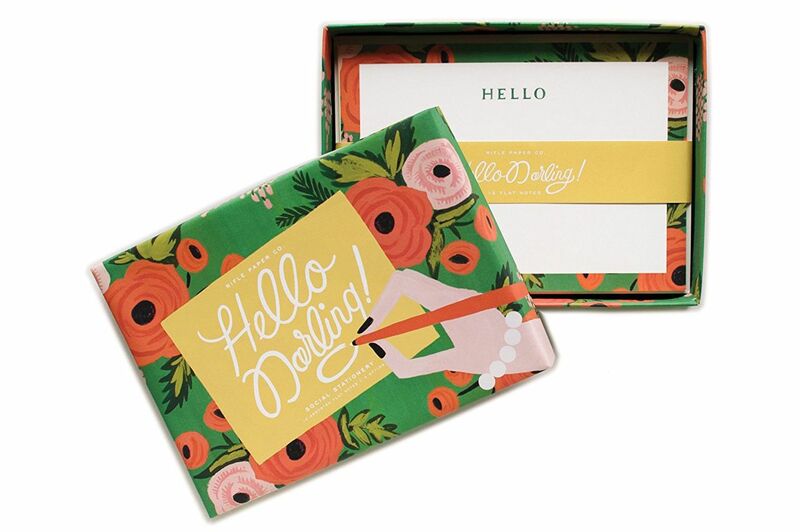 If Crane represents the old guard of stationery, then Rifle Paper Co. is the new wave. 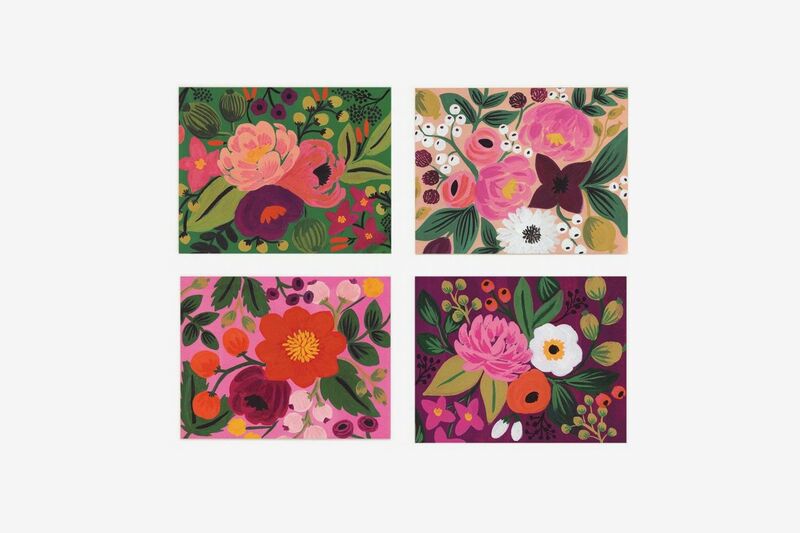 Schwartz says founder Anna Bond’s “drawing style is iconic enough that people recognize it, but still sort of whimsical and quirky.” Chelsea Atwell, partner and associate creative director at Zero Studios, says, “I’ve always been drawn to their floral prints and whimsical style. 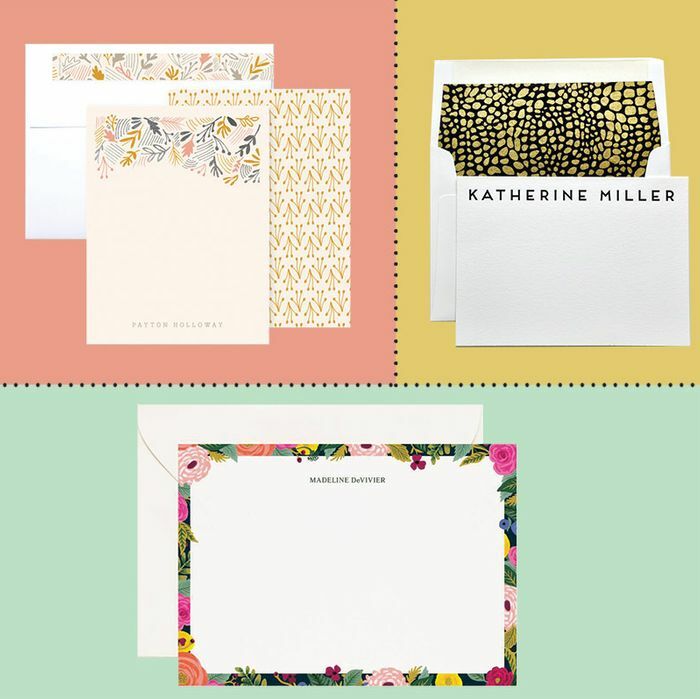 The color palettes are beautiful and there are lots of options to choose from to suit your style.” As her own mother was a florist, Atwell says, “Sending a note on Rifle personalized stationery makes me feel like I’m sending a little part of myself,” whether it’s with their bright blooms or their darker botanicals. 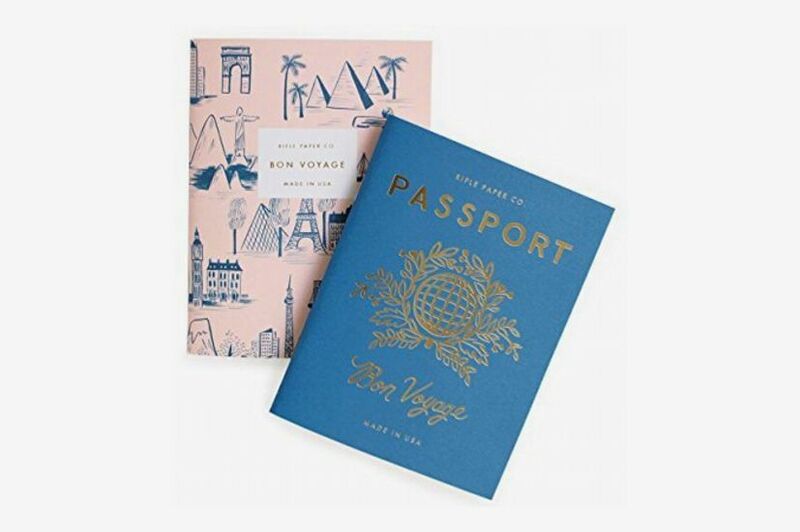 $85 for 20 at Rifle Paper Co. 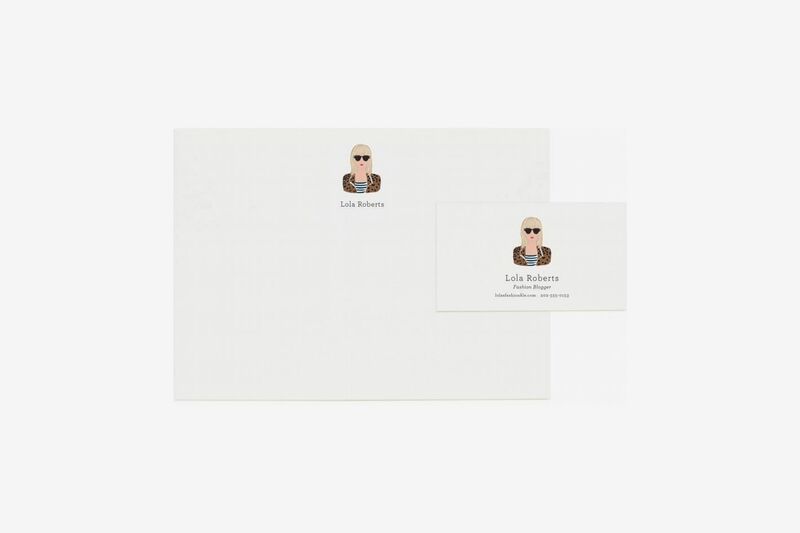 If your name and monogram isn’t enough personalization for you, Rifle Paper Co. will also create a custom portrait of you for your stationery. Schwartz says it’s “probably the coolest thing you can possibly get.” For a less steep fee, Rifle offers semi-custom portraits that can be designed from a template of hair, face, and clothing options. 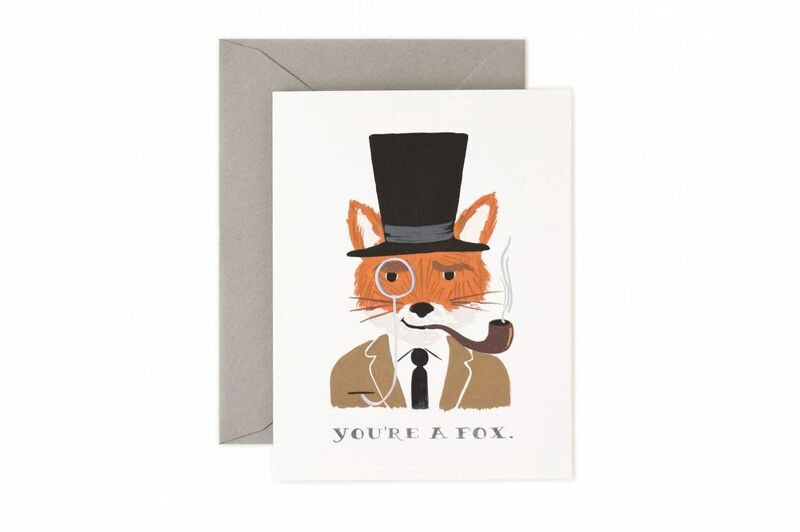 $250 for 20 at Rifle Paper Co.
Another brand that Schwartz likes is the Washington, D.C.–based Haute Papier. 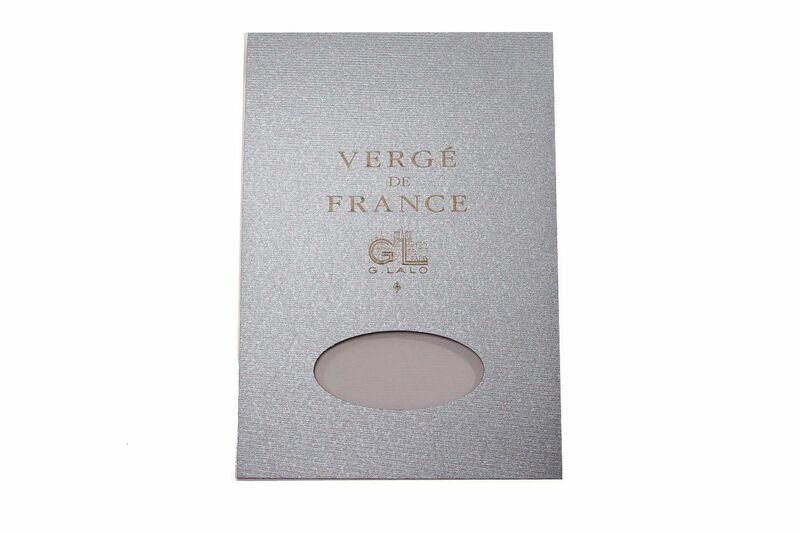 “Their production is top-notch, their design is great, they have wonderful little details like beautiful hand-painted liners,” she says. 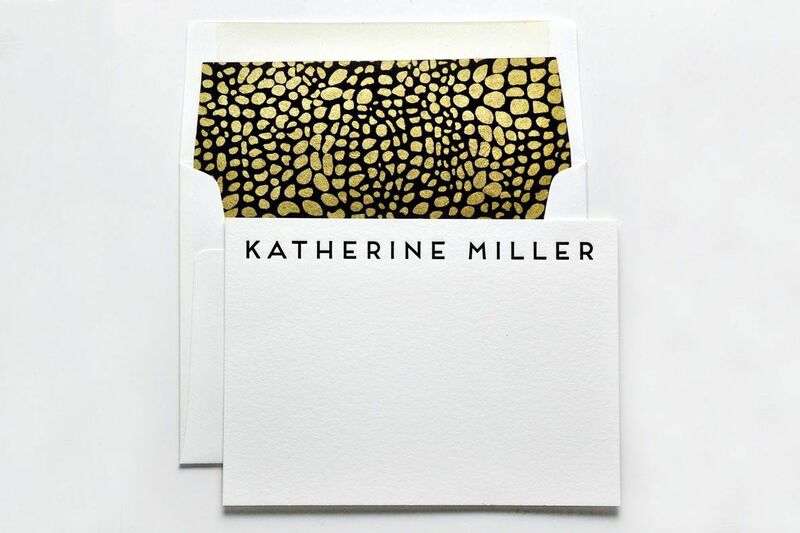 Along with animal-print designs, their wide selection of styles includes geode prints and florals. 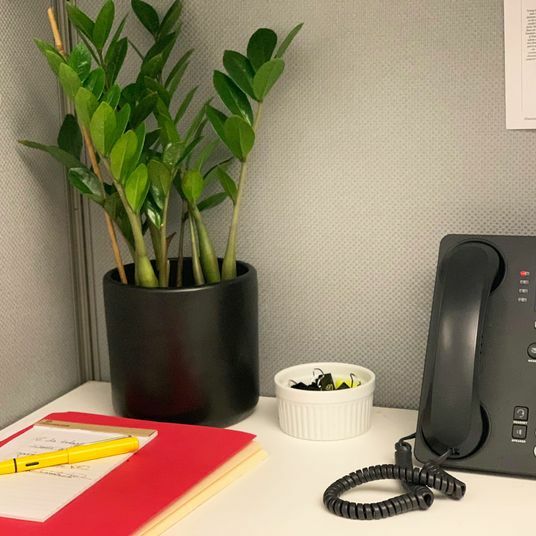 If you’re looking for a gift for a recent grad, a friend starting a new job, or even just for yourself, Schwartz loves Haute Papier’s briefcase-style “stationery wardrobes” which can be customized with different paper sizes, envelopes, and business cards. 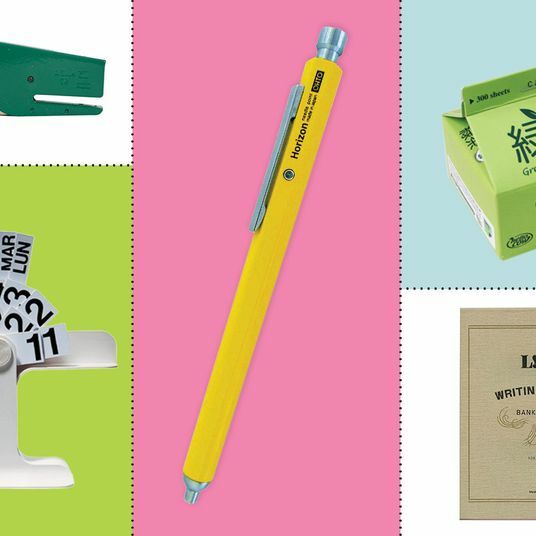 They also come with pencils (in your choice of color), and Schwartz says the set has “everything you could possibly need,” for elegant, personalized writing. Shepherd advises not spending a fortune on your stationery. 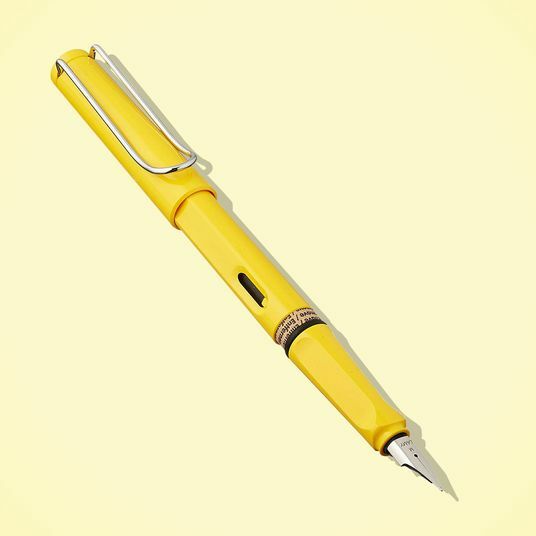 It may deter you from actually using it if you’re hesitant that a situation warrants something so fancy. 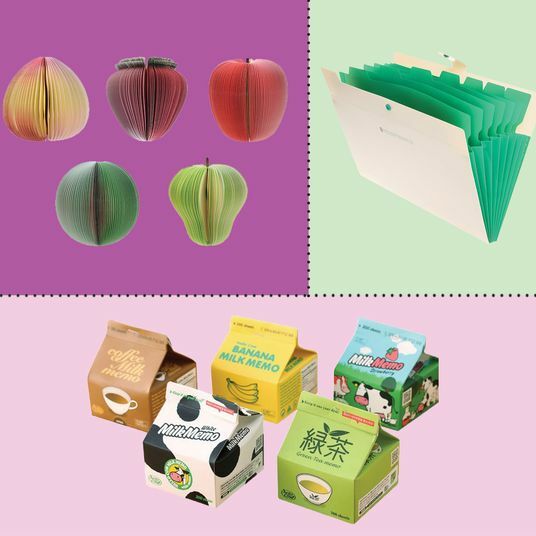 For affordable options, she likes the selection from Paper Source, and recommends stopping in to a store to get a feel for the different types of paper. 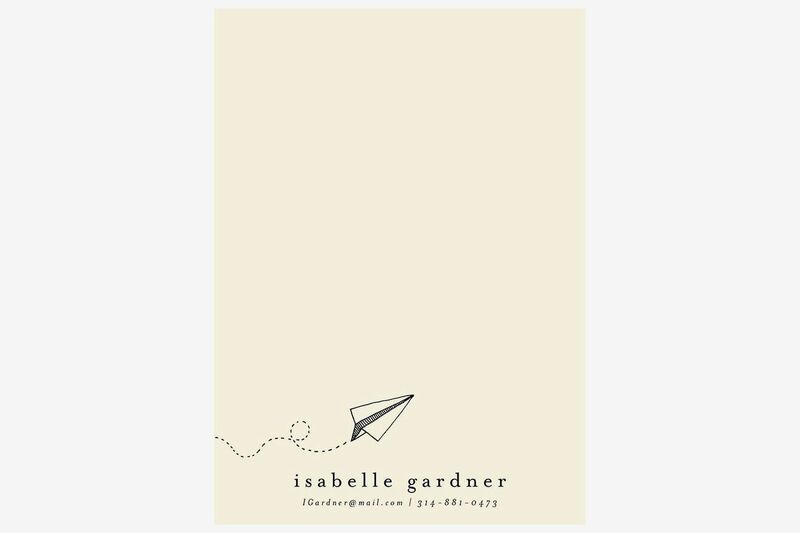 This set, with its illustrated paper plane design, is just playful enough. 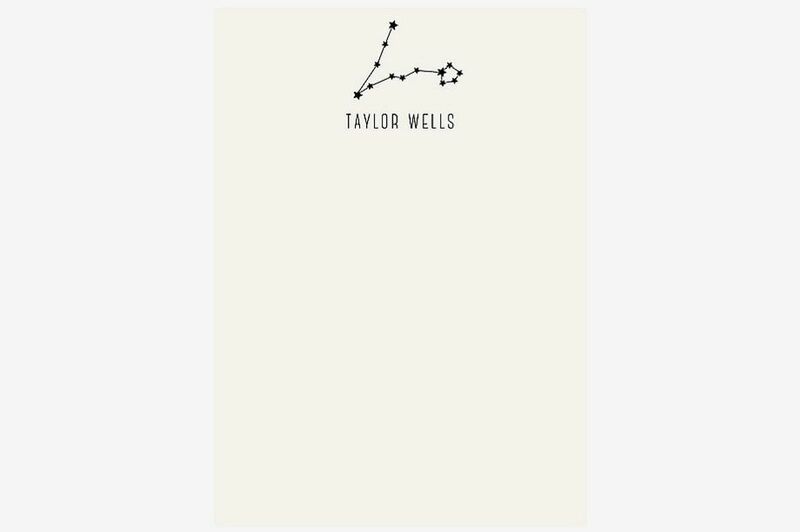 And for the astrology aficionado, why not include your star sign? 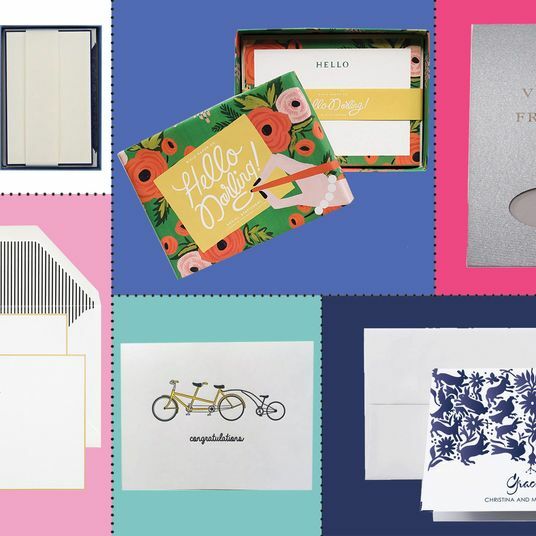 Minted, a site best known for its wedding invitations, is also a good source for unique stationery, according to Schwartz. 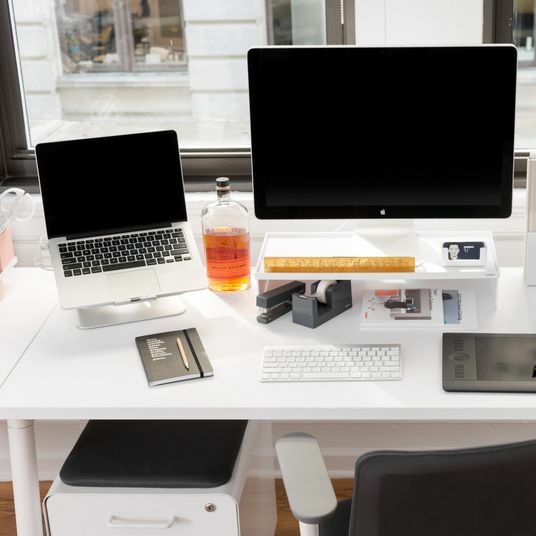 “If you’re looking for a really offbeat design or just something that no one else is going to have, that’s a really good place to start,” she says. 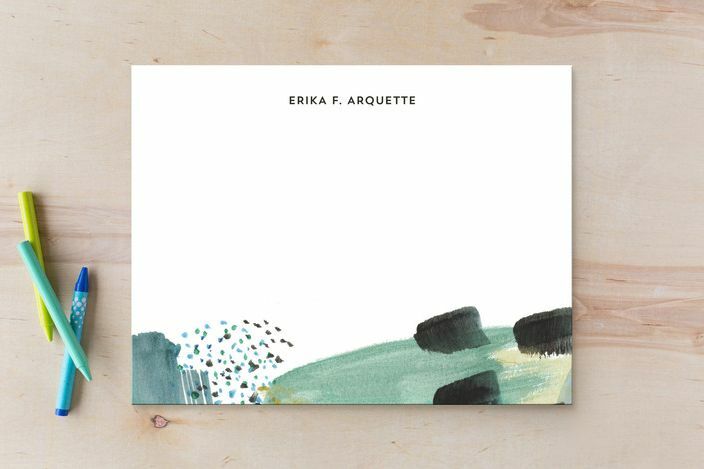 One of her favorite artists on the site is Erika Firm, who Schwartz says “does a lot of really great hand illustrations.” This abstract print is muted enough to not dominate the card while still being interesting. 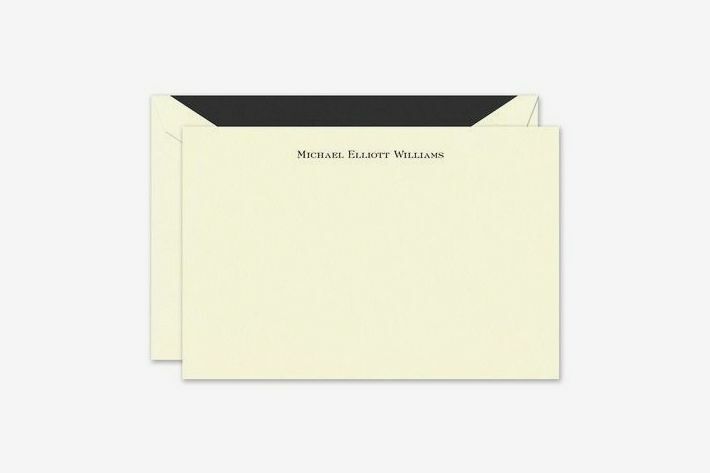 Also available on Minted is stationery from Moglea, a husband-and-wife-owned letterpress studio recommended by Karen Benke, author of Write Back Soon! 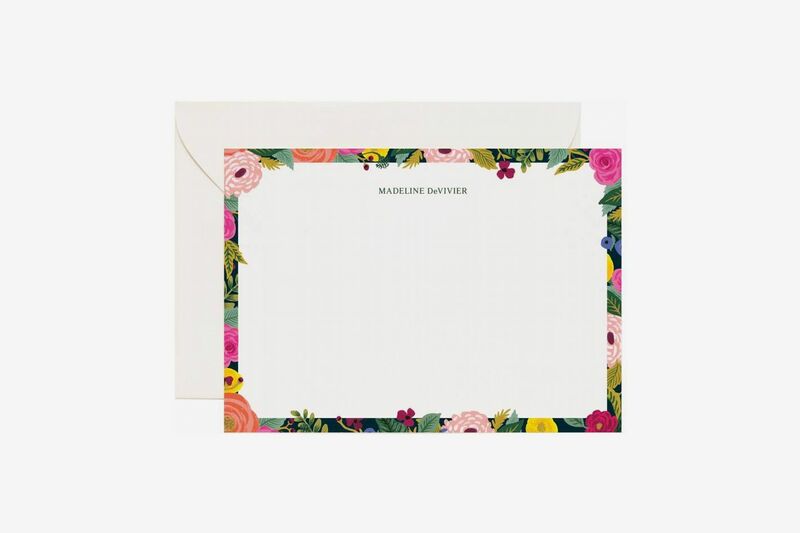 “The thickness of Moglea’s stationery is amazing, all painted and dip-dyed by hand too,” she says.